Is it snowing in Corvara (Alta Badia) ?ありがとうございました! Corvara, in the Trentino-Alto Adige region of Italy, is a large resort with 19 lifts (11 chair lifts, 7 surface lifts) that offers skiers 3800 feet of vertical descent. 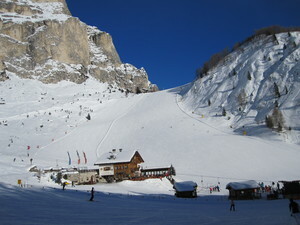 Corvara has 38 pistes with a total length of 44 kilometers (28 miles). It is part of the Alta Badia area which has 130 km of slopes and ski resort skipass Dolomiti Superski with more than 1.100 km of slopes. 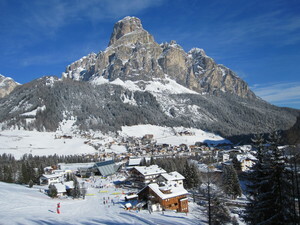 Corvara is best suited to beginner skiers and snowboarders but there is some terrain for intermediates but little of interest for expert skiers. 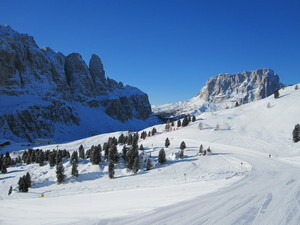 There are 16.5 kilometers (10 miles) of cross country ski trails at Corvara. 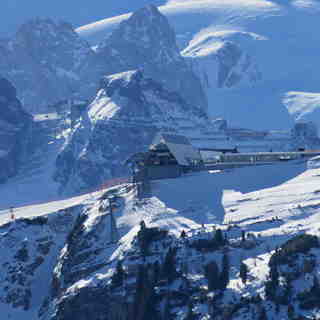 Over half of the pistes at Corvara are covered by snowmaking. The closest airport is at Bolzano but the transfer time is 2 hours. 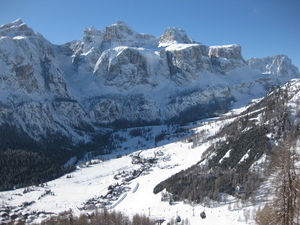 The nearest train station to Corvara is at Brunico. There is accommodation located close to the pistes but we would welcome additional information about any hotels or chalets in Corvara. 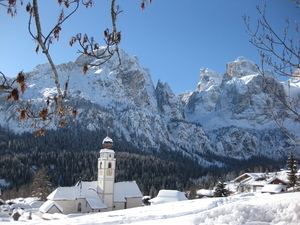 It is an ideal location to discover the very best off-piste in the Dolomites, in the Sella group (from the most famous 'Val Mesdì' to the hidden and paradisiac 'Val Litres')and in Marmolada. Skied this area and the surrounding resorts of the Sella Ronda several times between 2014-2016 and overdue another visit. 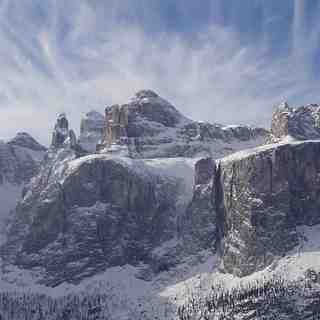 I've skied all over the Alps in the past 35 years and have to say the Dolomites are jaw-dropingly beautiful. 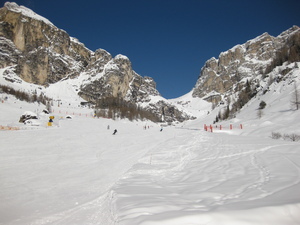 The skiing is pretty good too, with plenty of challenge all around the Sella Ronda and lots of cruising runs for intermediates. The lift system is modern and impressive, though not quite as cutting edge as the big name resorts in nearby Tirol. But generally far better than the French equivalents. The area has a well earned reputation for gourmet cuisine both on and off the mountain, with hostelries dotted all over the area which pretty much guarantee great pitstop each lunchtime. Corvara, itself, is delightful and generally low key on the apres-ski front but there is a cracking bar at the bottom of the piste opposite the Boe Gondelbahn. Murin is more full on and rather like the big name bars in St Anton and Ischgl. If you want to party hard everyday, then neighbouring Selva is probably a better bet but the pistes are busier. Cost wise, the value for money is excellent. Slightly cheaper than Austria. But massively cheaper than both France and Switzerland. Moreover, there is no compromise on the quality of hotels and subsistence.